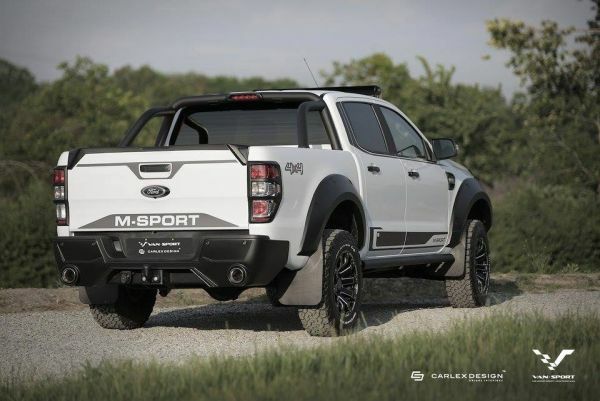 M-Sport’s bespoke range of road-going vehicles has gained recognition and popularity around the world, and last week saw Van Sport launch the latest edition – the M-Sport Ranger. 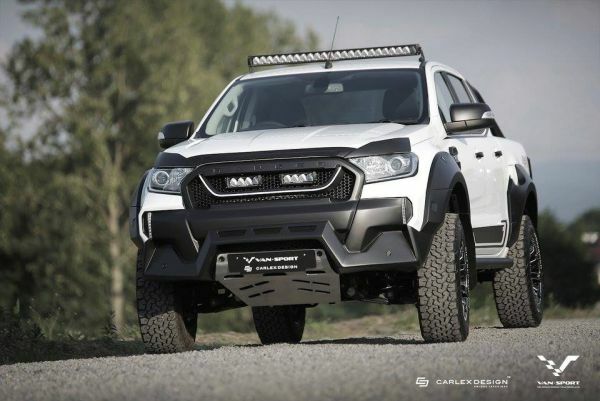 Following the highly acclaimed M-Sport Transit and M-Sport Transit Connect, Van Sport – in collaboration with M-Sport and Carlex Design – launched the Ranger at the Abenteuer and Allrad off-road trade fair in Germany. Based on the Ranger 3.2 tdci 4x4 double cab pickup, the vehicle includes a range of enhancements including a front bumper conversion, and extensions to the bonnet lip and side arches. A sports exhaust system and Pedders suspension sport pack add to the ride while Lazer lights to the front grill assist main beam for optimum performance. Matte black wing mirrors, door handles, window strips, side steps and tailgate add to the look whilst 18” matte graphite wheels complete this bespoke off-road experience. The interior enhancements are in keeping with the high quality of all products in the M-Sport range. A full leather interior is complimented by a leather centre armrest and door trims. A sports steering wheel provides further exclusivity whilst privacy glass to the rear windows gives the Ranger a unique finishing touch. 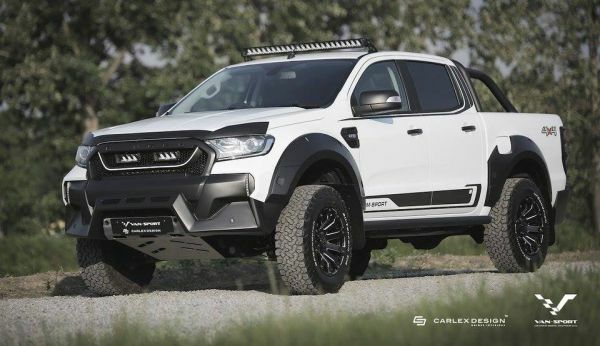 An additional off-road option pack is also available which adds Lazer lights to the roof cover for further visibility and a full Pedders suspension lift kit which raises the vehicle an additional 1.75 inches. A full under tray body protection kit is also available as well as a limited edition hard-top, lift-up back which provides a sporty and convenient addition. The M-Sport Ranger will be in full production for September 2016 and available in supporting Ford dealerships throughout both the UK and Europe. The new MINI Clubman ALL4. The new VW Scirocco R "Black Style"
The new MINI John Cooper Works Convertible. “BMW Individual 7 Series THE NEXT 100 YEARS”. Mercedes-Benz CLA Coupé and Shooting Brake. The new BMW M4 GTS. World premiere of the Mercedes-Benz GLC Coupé: Sports coupé meets "G"